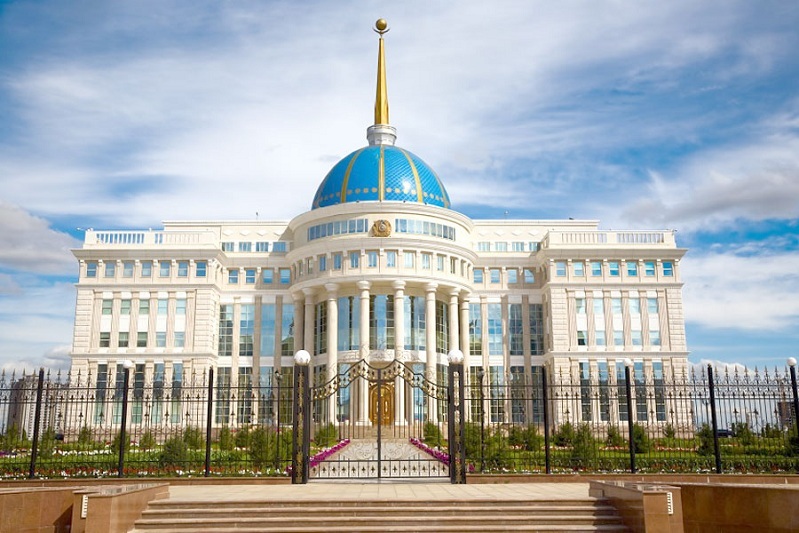 Kazakh President, King of Saudi Arabia had telephone talk ASTANA. KAZINFORM Head of State Nursultan Nazarbayev has had a telephone conversation with King of Saudi Arabia Salman bin Abdulaziz Al Saud, Akorda press service says. Nursultan Nazarbayev receives Saudi Arabia's interior minister ASTANA. KAZINFORM - The President of the Republic of Kazakhstan, Nursultan Nazarbayev, has held today a meeting with the Minister of the Interior of the Kingdom of Saudi Arabia, Abdulaziz bin Saud bin Nayef bin Abdulaziz Al Saud, the press service of Akorda informs. Kazakh President, Saudi King hold telephone conversation ASTANA. KAZINFORM Nursultan Nazarbayev held a telephone conversation with the King of Saudi Arabia Salman bin Abdulaziz Al Saud, the Akorda press service reports. President Nazarbayev receives Saudi Energy Minister ASTANA. KAZINFORM Today, Head of State Nursultan Nazarbayev held a meeting with the Minister of Energy, Industry and Mineral Resources of Saudi Arabia, Khalid A. Al-Falih, the Akorda press service reports. Kazakhstan to sign agreements on extradition with five countries ASTANA. KAZINFORM The Republic of Kazakhstan intends to sign extradition agreements with a number of countries in Europe, the Middle East, and South America, said the Deputy Prosecutor General Andrey Lukin. Kazakh, Saudi Energy Ministers meet in Astana ASTANA. KAZINFORM Today Minister of Energy of Kazakhstan Kanat Bozumbayev met with the Energy, Industry and Mineral Resources of Saudi Arabia Khalid Abdulaziz Al-Falih, the press service of Kazakh Ministry reports. 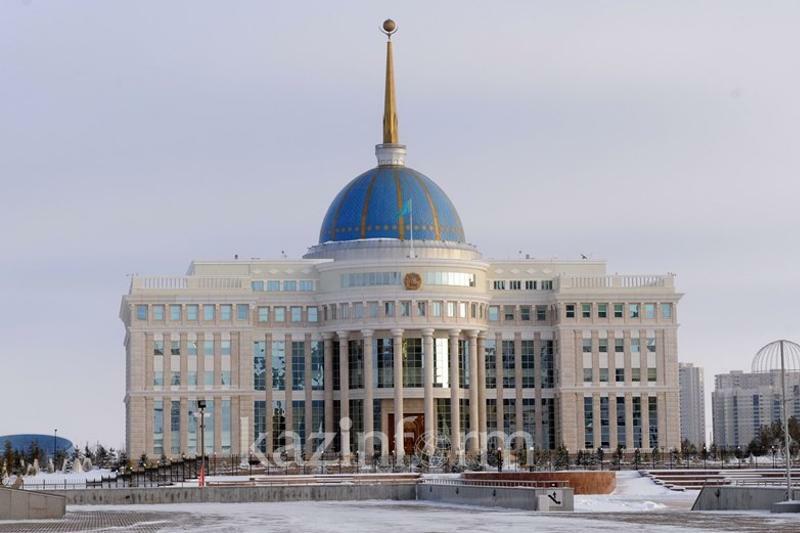 Akorda releases photos from Nazarbayev's visit to Saudi Arabia ASTANA. KAZINFORM - The Akorda's press service has released photos from President Nursultan Nazarbayev's visit to the Kingdom of Saudi Arabia. UAE Ambassador meets Kazakh Prosecutor General ASTANA.KAZINFORM Dr. Mohammed Ahmed bin Sultan Al Jaber, UAE Ambassador to the Republic of Kazakhstan met on Thursday with Prosecutor General of the Republic of Kazakhstan, Zhakip Asanov, WAM Agency reported. Speaker Tokayev receives head of KFCRIS ASTANA. KAZINFORM Senate Speaker Kassym-Jomart Tokayev met on Friday with Advisor to the King of Saudi Arabia, Chairman of the King Faisal Center for Research and Islamic Studies (KFCRIS), Prince Turki bin Faisal Al Saud. Exhibition dedicated to King Faisal of Saudi Arabia opens in Astana ASTANA. KAZINFORM - An exhibition of personal belongings of King of Saudi Arabia Faisal bin Abdulaziz Al Saud was unveiled at the National Museum of the Republic of Kazakhstan in Astana on May18, Kazinform correspondent reports. Saudi Arabia thanks Kazakhstan for its position on Syria ASTANA. KAZINFORM Head of State Nursultan Nazarbayev has met with Saudi State Minister of Persian-Arab Gulf Affairs Samer Al-Sabhan, Kazinform correspondent reports citing Akorda. Kazakh boy dies after falling into stairwell at Saudi school ASTANA. KAZINFORM 7-year-old Ahmed Noor, a student of a Saudi school, was buried April 25 in Medina at a request of his parents. Press Secretary of the Kazakh Foreign Office Anuar Zhainakov told it Kazinform. Kazakh PM, Saudi Energy Minister to discuss oil cuts ASTANA. KAZINFORM Speaking in Astana, the Minister of Energy, Industry and Mineral Resources of Saudi Arabia Khalid al-Falih said it is important to agree on an extension of oil cuts deal into the second half of the year, Kazinform correspondent reports. Kazakh President invites King of Saudi Arabia to OIC Summit in Astana ASTANA. KAZINFORM - On April 26, 2017, during the visit to Riyadh, Kazakh Foreign Minister Kairat Abdrakhmanov was received by King of Saudi Arabia Salman bin Abdulaziz Al Saud, Kazinform has learned from the Kazakh MFA's press service. Book ‘Nursultan Nazarbayev. Biography’ published in Arabic ASTANA. KAZINFORM The capital of Saudi Arabia has hosted a presentation of the book "Nursultan Nazarbayev. Biography" by famous publicist, Chief of the Office of the President Makhmud Kassymbekov. Minister Abrakhmanov meets with Saudi counterparts, businessmen ASTANA. KAZINFORM On April 24, 2017, as part of his visit to Saudi Arabia, Kazakh Foreign Minister Kairat Abdrakhmanov met with his Saudi counterpart Adel Al-Jubair, as well as the Kingdom's Minister of Energy, Industry and Mineral Resources Khalid al-Faleh and a group of heads of Saudi companies investing in Kazakhstan's economy. KSA shared its positive experience of combating terrorism and extremism with Kazakhstan ASTANA. KAZINFORM A delegation of the Prosecutor General's Office of Kazakhstan headed by Deputy Prosecutor General Marat Akhmetzhanov paid a working visit to the Kingdom of Saudi Arabia. Saudi Arabia to increase number of quotas for Hajj pilgrims ABU DHABI. KAZINFORM King of Saudi Arabia Salman bin Abdulaziz Al Saud gave his consent to increase the number quotas for Hajj pilgrims and to enlarge capacity of the holy city of Mecca, Kazinform correspondent reports. Saudi Arabia King presented $3,5 M medical equipment to Kazakhstan ASTANA. KAZINFORM - The Kingdom of Bahrain intends to build a sport facility in Astana for handicapped people. This has been informed today by Extraordinary and Plenipotentiary Ambassador of Kazakhstan to Saudi Arabia Bakyt Batyrshayev.